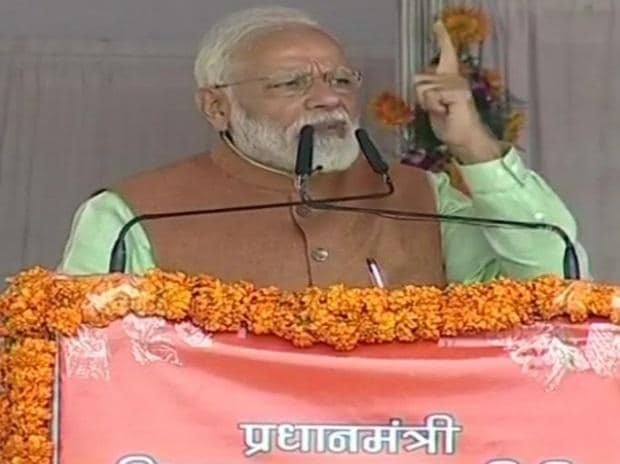 Condemning the recent terror attack in Jammu and Kashmir's Pulwama district, Prime Minister Narendra Modi on Sunday said the killing of our personnel will always inspire us "relentlessly" to "uproot" the base of terrorism and that the Army has resolved to wipe out "terrorists and their harbourers". Speaking in his monthly radio programme 'Mann Ki Baat', Modi urged the people to forget differences to make the government's steps against terror firmer. "This martyrdom will keep inspiring us relentlessly to uproot the very base of terrorism; it will fortify our resolve. We shall have to take up this challenge facing our country, forgetting all barriers of casteism, communalism, regionalism and other differences so that our steps against terror are firmer, stronger and more decisive," he said. The Prime Minister said that the armed forces have consistently displayed unparalleled courage and valour in restoring peace on the one hand and on the other they have retaliated with equal measure, in a language the attackers understand. "You must have seen how within a hundred hours of the attack, retributive action was accomplished. The Army has resolved to wipe out terrorists and their harbourers." The martyrdom of these brave soldiers and the touching, inspiring stories of their kin give hope and strength to the entire country, Modi said. Beginning his address, Modi said he is speaking with a "heavy heart" as "Mother India" had to bear the loss of many of her valiant sons who made the supreme sacrifice in securing the lives of 1.25 billion Indians. "In order to ensure that their fellow countrymen could sleep peacefully, these brave sons toiled relentlessly, day and night. As a consequence of the Pulwama terror attack and the sacrifice of the brave jawans, people across the country are agonized and enraged. All around, there is a deluge of strong feelings of sympathy for the martyrs and their family members. "The outrage that singes your being and mine on account of the terrorizing violence replicates itself in the collective inner psyche of every citizen of the country; it also echoes in pro-humanity communities of the world, which sincerely believe in humanity. I respectfully bow to all the brave sons of the country, who laid down their lives, protecting the honour of their motherland, India," the Prime Minister said. Mentioning the fortitude displayed by Ram Niranjan, father of martyred Central Reserve Police Force (CRPF) trooper Ratan Thakur of Bihar's Bhagalpur, Modi said he has expressed his wish to send his second son too to take on the enemy, which is inspiring. He also talked about the indomitable courage of Meena, wife of Prasanna Sahu of Odisha's Jagatsinghpur, as she vowed to send her only son to join the CRPF. The Prime Minister also mentioned the names of the family members of other CRPF personnel who were killed in the February 14 attack. He also urged the youth to know and understand the fortitude and sentiments displayed by these families. "To understand the virtues of patriotism, sacrifice and perseverance, one doesn't need to revert to historical events. These are but living examples before your eyes... these very examples are a source of inspiration for the future of a rising and glowing India," he added.